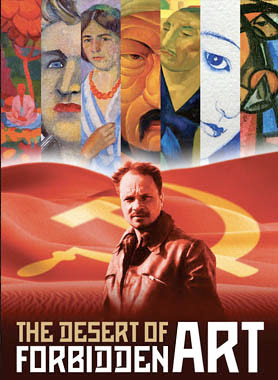 The brilliant, award-winning documentary The Desert of Forbidden Art screened 1 June at the Central Asian Pavillion at the 2011 Venice Biennale. Film makers Amanda Pope & Tchavdar Georgiev attended the screening. Here's a review from La Stampa if you read Italian. The Nukus Museum houses a collection of Soviet avant-garde art rivalled only by St. Petersburg’s Russian Museum. This is the remarkable tale of Igor Savitsky, (an obsessive collector), a local government that financed the purchase of dissident art when Stalin’s ‘Social Realism’ decree still prevailed, and the woman who protects and preserves the integrity of the collection today. Also good to see an article in the Moscow Times today about it. If you haven't seen it yet, you can watch the trailer then buy a copy of the DVD.